Author J Washburn: I Once Was Lost But Now I’m Found! I Once Was Lost But Now I’m Found! 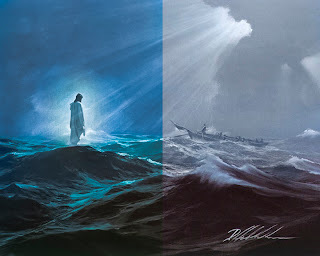 My wonderful friend Lindsay found the painting of Christ walking on the water! It’s called “Guardian of the Sea” and it was painted by Danny Hahlbohm. Want more? Here are two more awesome paintings of Christ. Whoa! That's a way cool painting, glad she found it.